2737 EP CENTRAL AFRICA (1979) Trains*. Stamps*. Rowland Hill*. 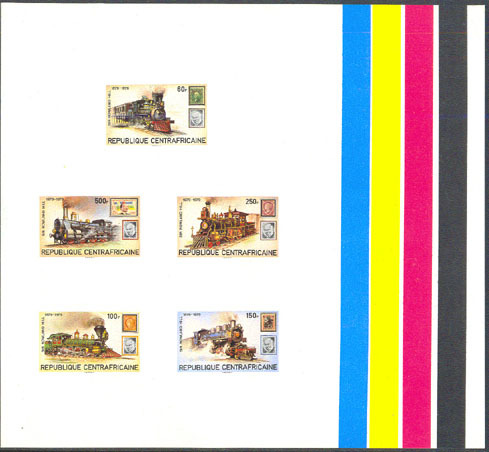 Collective proof showing all 5 stamps of issue on large sheet with color bars in margin. Scott Nos 398-402, Yvert Nos 400-3,BF39.